Functions and palettes related to visual enhancement • visibly! 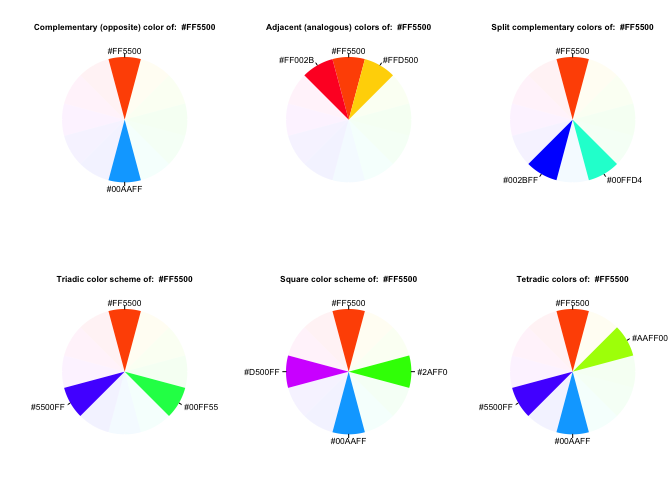 a function to quickly and easily create palettes with using colortools::complementary colortools::adjacent etc. 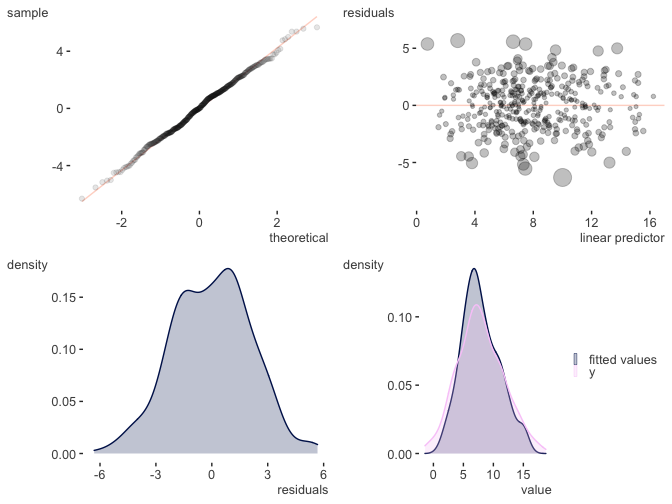 coefficient plots for fixed and random effects, plotting of GAM results. 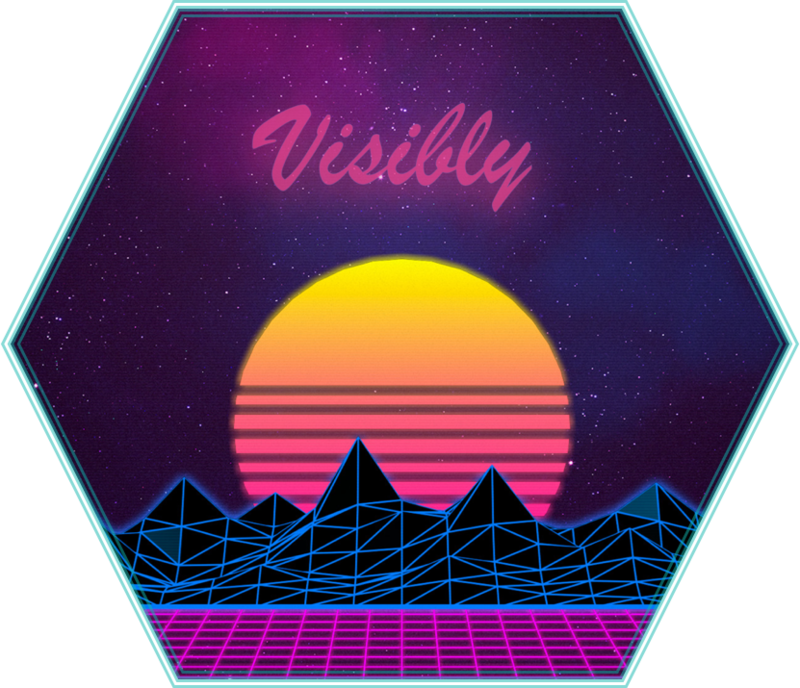 Visibly is currently in its early stages, so more may be added soon. For some additional palettes for those fond of another time, you might be interested in NineteenEightyR. Create a palette from a single starting point. This requires the colortools package to create equally spaced colors. Plot it to get a feel for things. One of the built-in palettes is based on R’s blue. 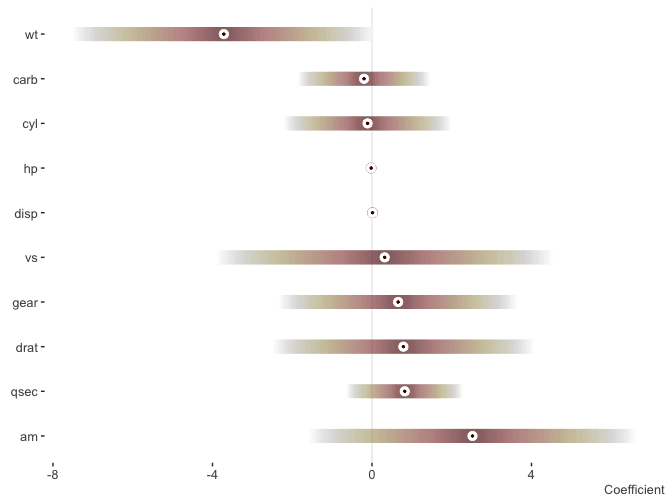 Others are based on Stan’s red, plotly’s base colors, and the red-blue palette from RColorBrewer. 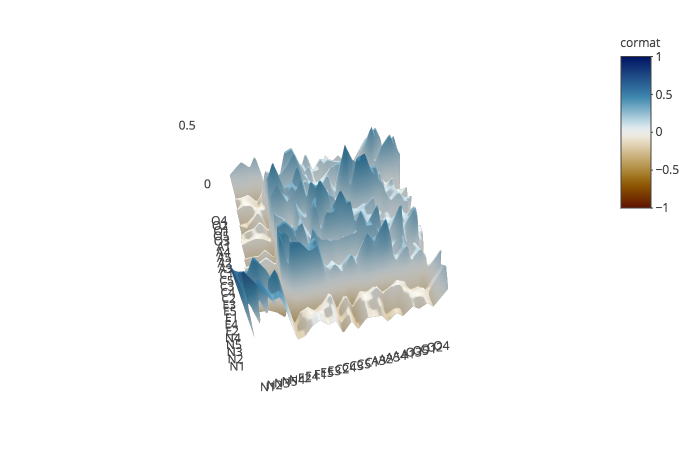 A clean theme for plotly. 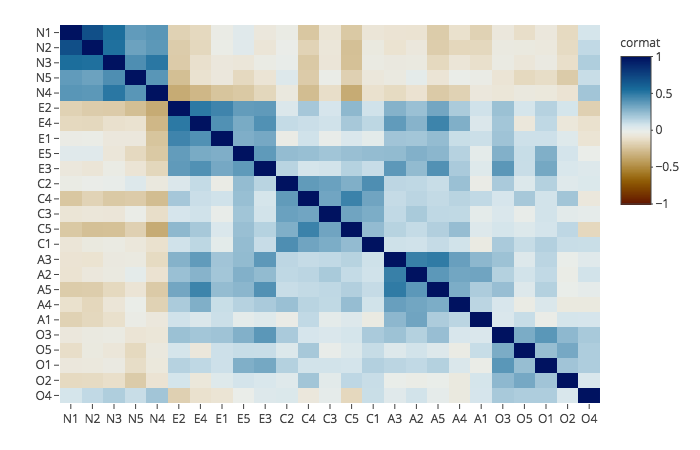 Visualize a correlation matrix via factor analysis. 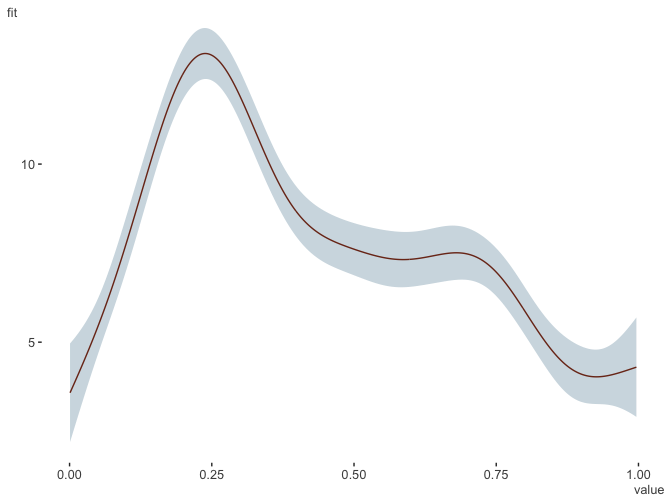 Plot some model coefficients. Requires the scico package. See the intro for more.